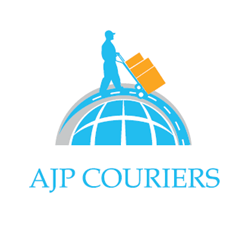 Here at AJP Couriers (Nationwide) Ltd, we provide a reliable and professional same day and next day delivery service in which you and your customers always come first. With offices in both Wrexham and Warrington, we are ideally situated to provide logistical support for businesses across the UK and we are delighted to be able to offer a truly nationwide and international collection and delivery service. With our own fully insured and modern fleet of vehicles, as well as access to over 30000 vehicles nationwide ranging from motorbikes to arctic trucks; AJP Couriers (Nationwide) Ltd can and will ensure that your goods arrive safely, promptly and most importantly, when you say they will. We don’t make promises that we can’t keep. We understand that you need to be able to rely on us 100% to deliver your goods in a safe and timely manner. Goods to be collected before close of business hours and delivered before, or at the start of business, the following day (Goods must be available for collection from 3pm). Our most cost effective next day service for less time critical consignments.